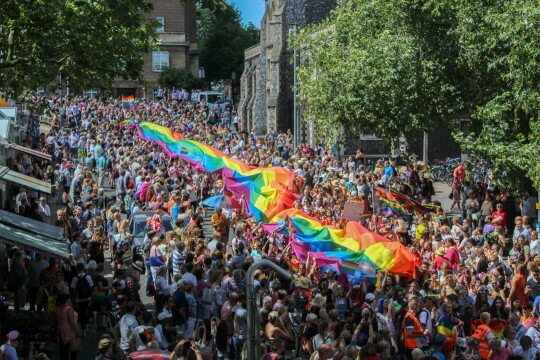 Norwich Pride is a celebration from the Lesbian, Gay, Bisexual and Trans community for everyone. Our vision is to turn Norwich into a Rainbow; our mission is to ensure we live in a city where everyone can feel safe and proud to be themselves; our job is to organize Norwich Pride on the last Saturday in July. Every year thousands of people join us on our Parade through the city to celebrate diversity and show their support for the LGBT+ community. We have dozens of stalls in the Forum and Chapelfield Gardens giving information and support. We have the Pride Show in Chapelfield Gardens showcasing local and national talent and a range of speakers and performers in the Community Tent, including our popular Question Time debate. We gets loads of positive feedback every year and our Facebook, Twitter and Instagram accounts get flooded with thousands of colourful photos of happy, smiling people. Here are some examples of the feedback: "Had a brilliant time, was my first pride and was adamant I wasn't going to march, but we did and it felt amazing" "It was a fantastic event! So many people, I couldn't move! 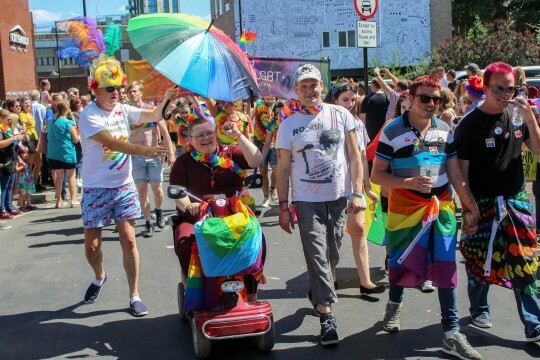 ""this was one of the BEST thought out and well planed events I have been to, so my hat goes off to everyone involved"
Norwich Pride is organised by a collective of enthusiastic and creative volunteers. 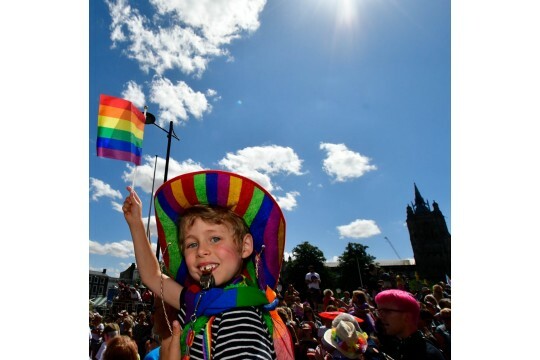 It is on the last Saturday in July - we need volunteers to steward the Parade, to work in the Pride Shop & Help Desk, to decorate Chapelfield Gardens, to perform on stage and run workshops. We also need volunteers all year round to help with fundraising, events and promotion.